Microsoft introduced two mixed reality (MR) branded headsets (in developer editions) this week in the Microsoft Store. The Acer Windows Mixed Reality Headset Developer Edition. Image: Microsoft. The company last year revealed its would introduce a slate of Windows-compatible virtual reality headsets from ASUS, Dell and other PC manufacturers that would work without desk- or wall-mounted sensors. 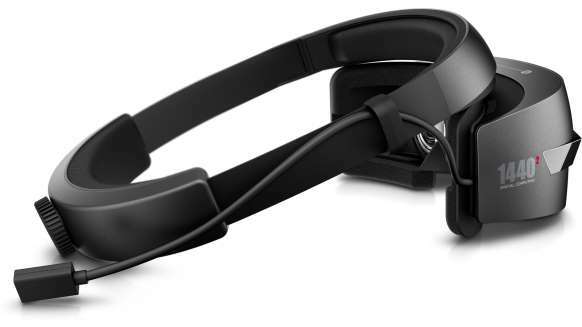 The headsets are meant to be affordable alternatives to its more advanced HoloLens. Still, the VR/MR headsets live up to Microsoft’s other promises, like being low-budget and immersive for users. For pre-orders, the Acer headset costs $299 and the HP headset costs $329 (owing to a few extra aesthetic and functional features). 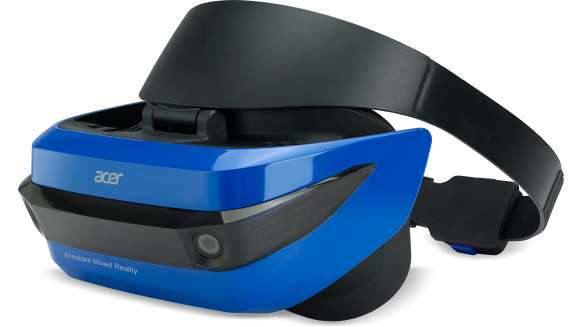 The HP Windows Mixed Reality Headset Developer Edition. Image: Microsoft. Both headsets come with two high-resolution liquid crystal displays at 1,400 x 1,400 resolution and 95-degree field-of-view. They feature front hinged displays with a 2.89-inch diagonal display size. Both have built-in refresh rates of up to 90 Hz when paired with an HDMI 2.0 port. The two headsets are almost identical in every aspect, except the HP model has a double padded headband, adjustment knob and a 0.60-meter removable cable. Further information can be found on the Microsoft Store.